David Gelb’s 2013 documentary Jiro Dreams of Sushi is an unusual film. It is a vivid, memorable and beautifully-filmed portrait of Jiro Ono, the indomitable and indefatigable owner and head chef at the tiny, 10-seat Sukiyabashi Jiro sushi restaurant nestled in a Tokyo subway station. Although small and unassuming in size, the restaurant is world-renowned. It has received three Michelin stars and is regularly lauded by food critics. The owner is also a remarkable man. Now in his late 80s, he still dedicates his life to his work, following the same routine day-in and day-out, reluctantly breaking it only when there is a national holiday. I have watched the film twice and had very different reactions each time. The first time I found it exhilarating and uplifting. Although stern and uncompromising, Jiro exuded a deep passion and commitment to his life’s work. He seemed to embody the Japanese spirit of the Shokunin, the master craftsman, constantly striving for perfection through slow and incremental improvement. There was a seriousness of purpose and an unapologetic dedication to what he was doing that was refreshing to my cynical and world-weary ways. Work is good, the movie seemed to be saying, and it can be great if you approach it with the right attitude. Then I watched it for a second time. This time the movie was less uplifting. Gone was the paean to craftsmanship and the power of the work ethic. In its place was a somewhat nightmarish and dystopian warning call. The movie depicted the troubling apotheosis of capitalism. Jiro was dedicated to his craft but at what cost? He worked closely with his two sons, but there was virtually no representation of family or home life in the film. He only became close to them when they started to work for him, and after denying them a university education. Jiro’s wife is never mentioned; we get a fleeting glimpse of her in an old photograph. Jiro’s older son clearly wishes to take over the family restaurant, but his father refuses to retire. A trip to the fish market revels in the extractive horrors of capitalism. The sellers lament the low quantity and quality of fish on sale, a crisis being precipitated by the overfishing that supplies the rising demand for sushi. An old man at the market complains of being tired and worn out. He longs to retire. Why can’t he? We are never told. The colonizing and soul-crushing powers of work were suddenly brought into sharp relief. The movie thus seemed to exist in a superposition of interpretive states, collapsing into one depending on the ideological lens through which it was viewed. The first time my ideological lens was influenced by the dominant ‘work is virtuous’ ethos of society. The second time my ideological lens was influenced by David Frayne’s book The Refusal of Work (Zed Books 2015). If ever a book was designed to help you question the value of the work ethic and look anew at our modern obsession with productivity and promotion, this is it. Frayne has accomplished something worthy of admiration. He has written the best primer and introduction to the anti-work philosophy; a fascinating ethnography of people who actively try to resist work; and has married this to some original and provocative insights into the contemporary workplace. What’s more, he has done all this without resorting to the stodgy, jargon-laden prose that is common among left-wing critics of work. It is all conveyed in a fluid and assured manner. The book is very much of two halves. The first half is the provocation: the invitation to the reader to look at work with a more critical eye. The second half is the ethnography: insights culled from Frayne’s experiences of interviewing and living with people who actively resist work in the United Kingdom. The two halves are held together by a common set of themes and capped off with a concluding chapter that represents something of a ‘call to arms’. Frayne starts by introducing the reader to the anti-work literature. This is a prominent though sometimes neglected strain within left-wing thought. Karl Marx’s son-in-law Paul LaFargue is sometimes pinpointed as its literary founder. He penned the satirical pamphlet The Right to be Lazy from his jail cell in St Pélagie prison back in 1883 (21). But Frayne is not enthusiastic about LaFargue’s contribution to this genre (21-22). He is more enthusiastic about the contributions from Studs Terkel, André Gorz, Kathi Weeks and, to some extent, even Bertrand Russell and his famous essay ‘In Praise of Idleness’. He skillfully guides the reader through the main ideas from these (and other) authors in the opening stages of the book, often adding his own reflections and insights. The anti-work critics focus on the ‘work dogma’, i.e. the cultural belief that work is both necessary and virtuous. They long for a ‘post-work’ politics and the goal of their critique is to ‘de-naturalize’ work, i.e. encourage us to view work as a contingent feature of our current economic and political reality. But what exactly do these authors mean by ‘work’? It is a tricky question. It is all too easy to get dragged into endless definitional quarrels about ‘work’ properly-so-called. For some people work is simply any physical intentional activity. For them, the notion of an ‘anti-work’ critique can seem like a nonsense. People are never going to stop working in this broad and expansive sense of the word. Fortunately, proponents of the anti-work philosophy do not have such an expansive definition in mind. They reserve their critical ire for what André Gorz has called ‘work in the economic sense’, i.e. tasks performed for payment or economic reward. This definition excludes many physical activities that people would like to have recognized as work (e.g. work in the home), but the exclusion makes sense since the critique is concerned with the characteristics of work in contemporary capitalistic societies. And why exactly do these authors critique work in the economic sense? The answer is complex. In three successive chapters (2, 3 and 4), Frayne expands on the key arguments in the anti-work critique. They are: (a) that work is bad; (b) that it colonizes our lives; and (c) that we are publicly policed and shamed into thinking it is valuable. What these workers experience is the inevitable consequence of Taylorism, the scientific management philosophy developed by the industrial engineer Frederick Taylor in the nineteenth century. Taylorism tries to rationalize and mechanize as many elements in the industrial manufacturing process as it could. The worker is not allowed to demonstrate any creativity, initiative or autonomy. Everything is routinized. Everything is predictable. The workers are ‘interchangeable units of labor power’ (49). Frayne notes that some associate Taylorism solely with the manufacturing economy and extoll the benefits of the shift towards the ‘knowledge economy’ in the latter half of the twentieth century. The belief is that knowledge workers have greater flexibility and incentives to demonstrate their individuality and creativity. They are not performing routinized physical tasks; they are performing skilled cognitive tasks. But Frayne argues that this is misleading. Many knowledge jobs involve highly scripted forms of cognitive labor. The call center worker is the classic example. Beyond this, the knowledge worker is under severe external constraints. Much of their work is assisted or mediated through information technology, which contributes to a de-skilling of their cognitive labor. And on top of this they are expected to fully invest themselves in their jobs in a way that manufacturing laborers never did: they must demonstrate commitment above and beyond their contracted work hours, and express constant satisfaction and happiness about their work. The whole thing is exhausting. Employability even occupies the minds of children. I recall something a twelve-year-old lad once said to me when I was assisting with research into an anti-smoking programme that had been carried out at his school. When I asked him why he had enjoyed the programme, he said ‘it will look good on my CV’. (75). Why is there such an unrelenting emphasis on employability? One reason is the widespread conviction that work is virtuous, a key component of the work dogma that elites have used to police and shame the poor. Bertrand Russell complained about this phenomenon nearly a century ago, noting how his arguments for increased idleness often shocked the well-to-do. The rise of neoliberalism in the 1970s and 1980s, and the associated reforms of the welfare state, contributed further to this culture of the work ethic. The poor and unemployed were demonized; the hard-working middle and upper classes were celebrated. Non-work became a personal failing not a systemic one. David Cameron, a recent British Prime Minister, made this a central platform of his governmental policy. He promised that his would be ‘a government for hard-working people’ and depicted benefit claimants as wasters (99). But it wasn’t only the Conservative party that championed the benefits of hard work. Tony Blair’s New Labour government promised to ‘rebuild the welfare state around work’ back in 1997 (103). The unemployed had to demonstrate strong commitment to work if they wished to receive their welfare benefits. This culminated more recently in them being forced to take periods of unpaid work to maintain their access to welfare (104). It has also been coupled to an increasing ‘medicalization of work’. Work has been lauded for its public health benefits in reports from the UK government, despite the fact that experiences of work and worklessness are highly varied. The first half of Frayne’s book is not unrelentingly critical. He does not think that all forms of work are soul-crushing acts of capitalistic vandalism. What he criticizes is the lack of choice created by our current economic reality. People are forced to work out of economic necessity, not because they want to. 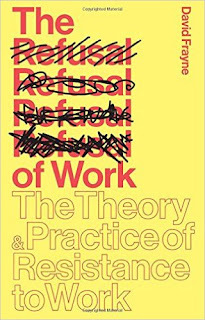 It is a pity then that Frayne does not engage with some of the philosophical and economic literature on both the desirability and practicality of the anti-work critique. What sense of freedom or autonomy is at stake in this debate? And how can proponents of the anti-work view respond to those who challenge its injustice? Are the workers expected to support the lifestyles of the idlers or will technological reforms render this moot? We get hints of these concerns from time to time, but no substantive and sustained response. Perhaps Frayne can be forgiven for skirting these issues. His intention in this portion of the book is to provoke, not give a detailed point-by-point defense of the anti-work position. The second half of the book then shifts to an ethnography. Frayne introduces us to a ragtag group of characters, people he met through online fora or other social contacts, who either resist work in its entirety or who have ‘downshifted’ (i.e. started to work fewer hours or in less intensive jobs/careers). These work-resisters are spread throughout the United Kingdom and vary considerably in their experiences and attitudes. They flit in and out of the remainder of the book as Frayne mixes excerpts from his interviews with them with some theoretical reflections on their experiences. We meet Matthew and Lucy, a well-educated and reflective young couple who avoid paid work, and live in fear of losing their benefits; we meet Alan, an irrepressibly optimistic anti-worker, who undertakes occasional bouts of work in order to fuel his real passions; we meet Samantha, a woman in her thirties, who was once a successful corporate lawyer, but downshifted to become a part-time waitress; we meet Bruce, who tells us that he had to quit work because his body ‘just broke’ (149); along with many more, all with unique and interesting perspectives on our contemporary work-obsessed culture. This is the standout section of the book as Frayne tries to understand the lives of these people, focusing in particular on how they came to embrace the anti-work philosophy, the pleasures they derive from it, and the pressures and problems they face. He starts by describing the ‘breaking point’, the point at which these people felt they could no longer play along with the work dogma. Although noting that experiences vary, he identifies three broad pathways into work-resistance. The first is the ‘rubbish job’. Several of the participants described experiences like those of Steve Dubi, the steelworker interviewed by Studs Terkel. They found work to be intensely dehumanizing, something that stifled their true passions and interests. The second is the ‘mini utopia’. Several of the participants found themselves reassessing the value of work after having been exposed to alternate realities. For some, this came from education or volunteer work: they met or interacted with people in an environment that allowed for a more authentic expression of humanity, without the relentless drive for income. And the third is the ‘broken body’. Several of the participants found work to be physically and mentally debilitating. Bruce, who I mentioned above, epitomizes this route to work-resistance. Frayne then considers the pleasures that these people get from resisting work. It is a key element of the anti-work philosophy espoused in the first half of the book that resisting work is hard. The dominant culture reinforces the belief that work is necessary and virtuous. Consequently, those who resist it should be made to suffer. It is no surprise then that Frayne is a little bit dismissive of one of his interviewees, Alan, who finds work resistance easy, and criticizes those who don’t for their lack of skill and imagination. Alan works to fund his adventures; he plays the working game for a while; and then drops out to pursue what he wants to do. I found myself wanting to hear more about Alan, and get some deeper explanation for his irrepressible optimism. But apart from noting his own discomfort with Alan’s views, and suggesting that Alan might be more than a little bit naive, Frayne quickly moves on. His main contention is that there are many pleasures in non-work, but that these come from the work-resisters adopting an attitude of ‘alternative hedonism’. This is a theory defended by the philosopher Kate Soper and essentially involves rejecting the consumer hedonism of capitalism. Happiness for the work resisters is not to be found in accumulating consumer goods and achieving power and prestige. It is instead to be found in simple, slower and largely private pursuits: cooking meals with family, reading books, maintaining their homes, achieving some degree of self-sufficiency in the production of food, cherishing a few precious purchased items, making gifts, and playing games in a fully engaged and present manner. One of the key messages from this section of the book is that a working lifestyle costs a lot of money, whether it be in commuting, childcare or convenience foods. One thing that workers lack is time to take care of themselves and others. They have to pay for this. So despite the reduction (or lack) of income associated with non-work, those who embrace the lifestyle often find they can do more with less. It is something we should all keep in mind. Frayne tells us that the problem is that these people have failed the ‘moral test of work’. They are viewed by the rest of society as parasites or as somehow incomplete (‘half a person’ according to one of the interviewees). They live in constant dread of the perennial dinner party question: what do you do? This causes them to seek out like-minded souls through the internet — a community of kindred spirits who make them feel more welcome. Frayne ends the book by reflecting on the ‘unpolitical’ nature of most of his interviewees. They are busy living the anti-work lifestyle, sometimes struggling to get by. They form loose associations — such as the ‘Idlers’ Alliance’ — but these associations are primarily about socializing and community-building. They are not interested in actively campaigning for an alternative political or economic reality. This is where he steps in. The final chapter is a ‘call to arms’, urging us to adopt a ‘politics of time’, one that recognizes the temporal costs of work, and tries to campaign for a more just distribution of non-working hours. The book is a challenging and insightful read, despite some omissions. 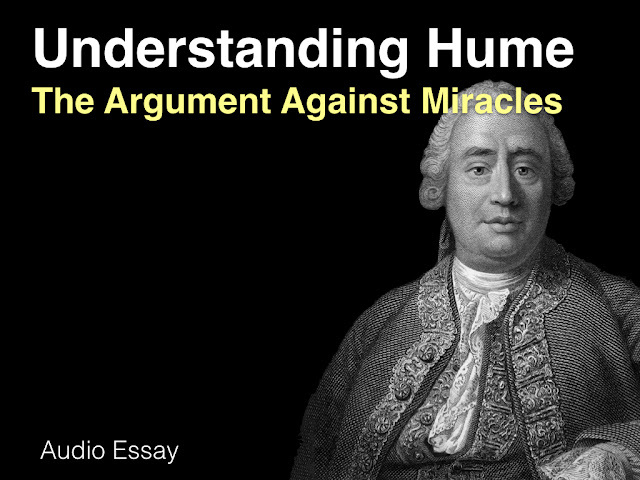 I recommend it to anyone with an interest in the topic. Four themes in particular struck me as I read, and I want to close by reflecting on them in slightly more detail. My goal is not to criticize what Frayne has presented but, rather, to consider ways in which the conversation about work can be advanced, and to do a little soul-searching about my own attitude toward work along the way. The first theme has to do with the emancipatory potential of technology. It is difficult to avoid the recent hype around automation and the future of work. A spate of books have come out in the past 2-3 years — Brynjolfsson and McAfee’s The Second Machine Age; Ford’s The Rise of the Robots; Kaplan’s Humans Need not Apply; Chace’s The Economic Singularity; Srnicek and Williams’s Inventing the Future; and Cowen’s Average is Over — arguing that advances in robotics, artificial intelligence and machine learning are going to have a dramatic impact on employment in the not-too-distant future. Some worry that this spells the death of capitalism; others rejoice in this fact; most agree that it will require a radical shift in the welfare state to something like a basic income guarantee. Srnicek and Williams, in particular, approach the looming threat of rampant automation in an optimistic, left-leaning light. They argue that it re-opens the space for a robust anti-work politics. This is not a new idea. It is as old as Marx himself. What is noticeable — and refreshing — about Frayne’s discussion of the anti-work philosophy is the extent to which he divorces it from this technological debate. He is aware of it and spends some time in the first chapter explaining its essence. But as he points out, an anti-work politics cannot thrive on technological dreams alone. It may be true that it has more pragmatic appeal in light of technological developments; but the moral and political case for an anti-work politics must be developed on its own. I have a somewhat different view. My feeling is that advances in robotics, artificial intelligence and machine learning will impact upon an anti-work politics, but not in the way that the left-leaning supporters seem to assume. I agree with the likes of Srnicek and Williams (and presumably Frayne) that automation adds to the pragmatic appeal of anti-work arguments. If work in the economic sense really is a soul-crushing, freedom-undermining, waste of human potential, then it is an even greater waste if we continue to insist upon it in an era in which humans are no longer needed for most economic work. But technology does not always have predictable or desirable effects. A major part of the anti-work argument is that the market does not always match our talents and aspirations. We may be forced, through economic necessity, to take up work that is contrary to what we find meaningful and worthwhile. This is the experience of many of Frayne’s interviewees. Automation may provide some hope in this regard: it could release people from the yoke of economically necessary work. But will it make their lives go better as a result? Maybe not. One has to remember that automating technologies do not replace jobs, they replace work-related tasks. For example, typing (a particular, work-related physical task) may be replaced by voice-to-text machines. This obviates the need for humans to perform that work-related task, but it doesn’t eliminate a job. Jobs tend to remain in the interstices between automating technologies; and some workers actually enhance their economic value through technological assistance. Those who question the likelihood of rampant technological unemployment highlight this fact (Autor 2015). They think it implies that humans will always be able to create jobs based on the tasks that are complemented by, or not replaced by, machines. But this ignores another reality. Technology’s ability to replace tasks and affect behavior is not limited to the economic sphere: it is conceivable that technologies will be created to replace any physical or cognitive task that can be performed by a human, be it economically productive or not. This is already happening: an array of automating devices are beginning to proliferate in the home, and technologies of entertainment have been created that limit our need to interact with the real world. These wider technological effects could undermine the central plank of the anti-work position. In freeing us from the economic necessity of work, we may find that technology also frees us from much else that we do as well, i.e. from work in the broader, non-economic sense. It’s not clear that this would result in a better world. This ties into the second theme. What does it take to live a meaningful and flourishing life? It’s a question Frayne hints at several times in the book, often reverting to the classic philosophical formulation of meaning in terms of ‘the Good, the True and the Beautiful’. Humans long for meaning, not just well-being. They want to make some contribution to the Good, the True and the Beautiful. They want to resolve the moral failings of the world, make contributions to knowledge and understanding, and produce works of art that they and others can enjoy. The central contention of the anti-work position is that most people cannot do this through economically necessary work. And yet what is interesting about the lives of Frayne’s interviewees is how inward-looking and privately focused they are. Their alternative hedonism revolves around the home, friendship and leisure pursuits like reading, game-playing and hobbies. Frayne laments this to some extent. It is why he calls for a more outward-looking, political focus in the end. The hint here — and it is only that — is that the inward-looking life is not sufficiently meaningful. Indeed, it is, in many ways, selfish (something that Samantha, the one-time lawyer, echoes when she describes her lifestyle as ‘massively indulgent’ (161)). Are these work-resisters really pursuing the Good, the True and the Beautiful? And if the anti-work political movement that Frayne desires succeeds, will it result in a world in which people can live more meaningful lives? Here is where automating technologies could bite again. If machines are better than we are at finding out the truth (as is already happening in certainly fields of scientific inquiry), and if they get better at us in resolving social moral problems (e.g. by coming up with better algorithms for distributing excess resources from machine-based productivity), there may be relatively little left for us to do that fits within the model of the Good, the True and the Beautiful. The inward-looking, private realm may be all there is. This might require some revision or reconceptualization of what a flourishing life is like in an automated, post-work age. Admittedly, this argument is not completely worked out here, but it is something I have considered in greater depth in some of my other writing. The third theme is the role of shame in our work culture. As noted above, many of Frayne’s interviewees feel shame as a result of their work resistance. The explanation for this is the moralization of work: those who do not work are neither contributing their fair share to society nor are they succeeding according to the metrics we have set. But why does the culture of shame operate in this way? I am not convinced that shame is a positive emotional tool, but if it is going to exist at all why is that those who succeed at work can feel proud? Or do they actually feel proud? I for one cannot understand why more workers are not ashamed of what they do; and I confess that I myself feel shame about what I do on a not infrequent basis. I wonder why this is the case. I have friends who work in well-paying corporate jobs. They often work 14-hour days. They seem exhausted, but rarely ashamed. The hours they put into their work connects directly to the income they end up receiving. They often justify the time they sacrifice to work on this basis. This fits with Frayne’s claims about the moralization of the work ethic. Earning big bucks is validated and valorized in our society: even if my friends occasionally felt shame about the time they dedicate to propping up sometimes ethically dubious corporate activities (and hence the time they sacrifice to their relationships and other worthwhile pursuits), the interlocking network of social norms and values would soon set them straight. They would be asked to think about what that money can do, how it can support their families and friends, and so on. Even those social movements that include some critique of extravagant, wealthy lifestyles operate to reinforce the commitment to the work ethic. The much-debated effective altruist movement, for instance, now encourages the idea that one should ‘earn to give’, i.e. dedicate time and effort to earning lots of money so that one can give it to good causes that make the world a better place. For me it feels different. I am an academic (working in Ireland). I have a full-time ‘permanent’ position. I am lucky in this respect. But relative to many of my peers, I do not earn much money — though proponents of effective altruism will be quick to remind me that I am in the global 5%-1%. Nevertheless, I feel ashamed of the amount that I do earn. After all, how do I justify what I get? I spend most of my days reading, writing, and thinking. I do some teaching (not a whole lot) and have some administrative duties, but they are relatively minor and of dubious social value. The teaching that I do may have some social value, but I doubt it. I would be hard pressed to prove any correlation (let alone causation) between what I do in the classroom and some positive outcome for my students or society at large. Someone might argue that the research I do has social value and could contribute to meaning, but I also doubt that. Much of what I research and write is for an audience of fellow academics. It’s usually about things I find interesting, not what is socially valuable. Even if it were, very few people read what I write and even fewer are prompted to do anything on foot of it. And yet I am strongly committed to what I do. I probably work as many 14-hour days as my friends. What for? The sad answer is that I am doing it for myself and I am just as willing to sacrifice relationships with family and friends because of it. This is a source of shame. I feel trapped between competing normative frameworks. The dominant social framework accepts and, to some extent, valorizes what I do (though as a public sector employee it does not do so as strongly as it might do for other workers). But my own personal framework is conflicted: I enjoy and value what I do, but I know that it is relatively unimportant. It is a guilty pleasure, something I don’t like to talk about in polite company. But why don’t others feel the same way? Selling the latest social media app to investors or helping companies avoid tax is not particularly important or valuable either. It is primarily done for selfish and oftentimes dubious motives. It cannot be (can it?) that income is sufficient to obliterate the feeling of shame. If shame is to be felt at all, it should be felt by the working population as much as by the work-resisters. It may be that Matthew’s experiences are atypical but they are fascinating to someone who has spent most of their adult life in universities. There is something idyllic about the experience. I cannot deny that. But does it really give a taste of what life could be like in some post-work utopia? The sad reality is that work as an academic is susceptible to all the same problems that Frayne outlines in his critique: the colonization of time; the metricization and quantification; the cognitive Taylorism; the pressure to be employable; the tendency toward more precarious forms of work; and the shift to a consumer culture. It would be nice to preserve the academy as a mini-utopia for future generations of students; it would be nice if life inside the ivory tower gave us a real sense of what a post-work society might look like. But then again I would say that, wouldn’t I?